Meta-analysis of the effects of biological soil crusts on soil moisture and infiltration. Effects of disturbance on respiration in soil crusts. 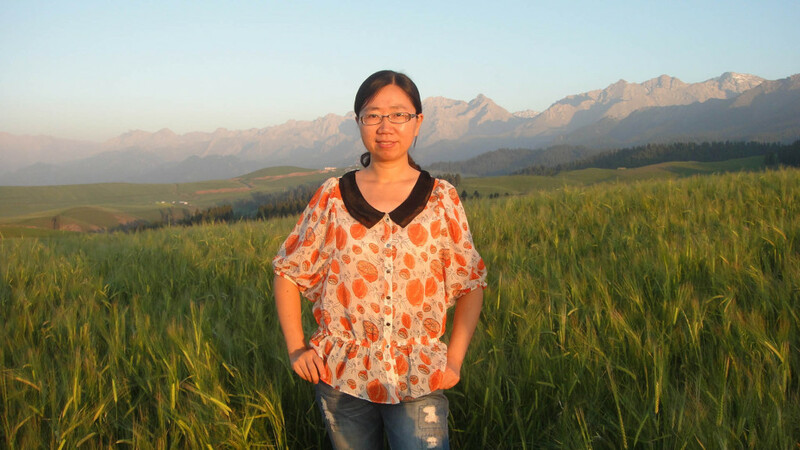 Since 2004, I have been mainly engaged in research on the ecological roles of biological soil crusts in the Gurbantunggut Desert, Xinjiang. In particular, I have examined the ecohydrological functions of biological soil crusts, and the chlorophyll fluorescence characteristics of the desert moss Syntrichia caninervis in response to environmental variations such as dehydration and rehydration processes, freezing and thawing processes. In 2012 I received a total of Yuan 0.4 million from the West Light Foundation (Chinese Academy of Sciences) for a project titled “The ecophysiological responses of the desert moss Syntrichia caninervis to dehydration and rehydration processes’. In addition, I participated in the International Science and Technology Cooperation Program of China and National Natural Science Foundation Project of China. Wu N., Zhang Y.M., Downing A., Zhang J. and Yang C.H. (2012) Membrane stability of the desert moss Syntrichia caninervis Mitt. during desiccation and rehydration. Journal of Bryology. 34, 1-8. Zhang, J., Zhang Y.M., Downing A, Wu N. andZhang B.C. (2011) Photosynthetic and cytological recovery on remoistening Syntrichia caninervis Mitt., a desiccation-tolerant moss from Northwestern China. Photosynthetica. 49, 13-20. Wu N., Zhang Y. M., Pan H.X. and Zhang J. (2010) The Role of Nonphotosynthetic Microbes in the Recovery of Biological Soil Crusts in the Gurbantunggut Desert, Northwestern China. Arid Land Research and Management., 24, 42-56. Zhang Y. M., Wu N., Zhang B. C. and Zhang J. (2010) Species composition, distribution patterns and ecological functions of biological soil crusts in the Gurbantunggut Desert. Journal of Arid Land. 2,180-189. Zhang J., Zhang Y.M., Downing A,, Cheng J.H., Zhou X.B. and Zhang B. C. (2009) The influence of biological soil crusts on dew deposition in Gurbantunggut Desert, Northwestern China. Journal of Hydrology. 379 (1-4): 220-228. Chen R.Y., Zhang Y. M., Li Y., Wei W.S, Zhang J. and Wu N. (2009) The variation of morphological features and mineralogical components of biological soil crusts in the Gurbantunggut Desert of Northwestern China. Environmental Geology, 57, 1135-1143. Zhang B.C., Zhang Y. M., Zhao J.C., Wu N., Chen R.Y. and Zhang J. (2009) Microalgal species variation at different successional stages in biological soil crusts of the Gurbantunggut Desert, Northwestern China. Biology and Fertility of Soil., 45, 539-547.